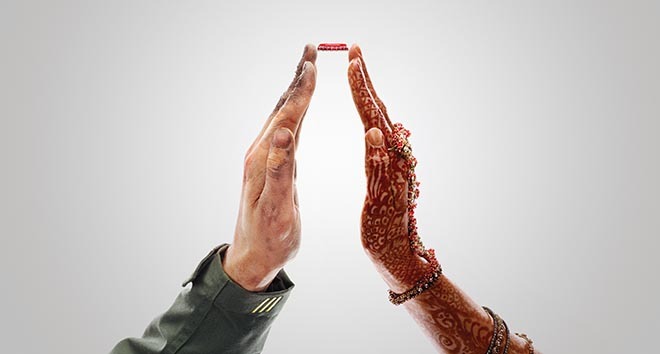 Coca Cola’s centenary celebration this year includes an integrated advertising campaign using the contour of the bottle to celebrate peace and love. 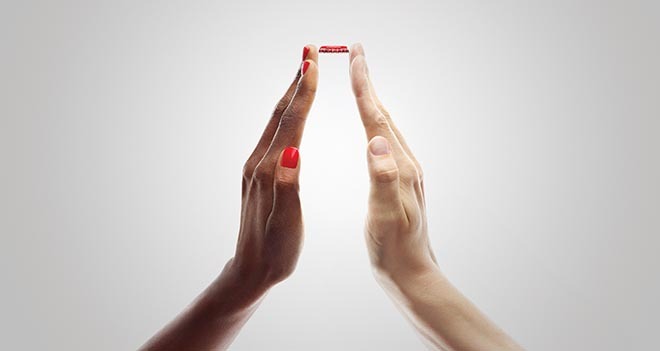 Two print ads in the campaign, winners of a Gold Press Lion and Silver Outdoor Lion at Cannes International Festival of Creativity, use hands to set out the well known design of the Coca Cola bottle contour. Photographer David Lachapelle doubled as film director for the commercial in which people from a range of ages and ethnicities join hands to form the Coca Cola contour. “When we love, we all love together”. Ogilvy France’s idea came from the fact that this bottle is one of the most famous pieces of design in the world. We wanted to celebrate it in a way no other product can do it. Finding a way for everyone to see the bottle and the brand immediately– knowing that there is no branding. It is really bold and smart from the client to launch this print without any logo or even product in it. And even if there is nothing that tells you it’s Cola-Cola. . .the brand is everywhere: from the togetherness, to the shape of the bottle and the iconicity. Coca-Cola is about bringing people together and to help them share happiness. Celebrating peace and love is in the DNA of the brand. And we all believe that today, more than ever before, it’s the thing we need to fight for. 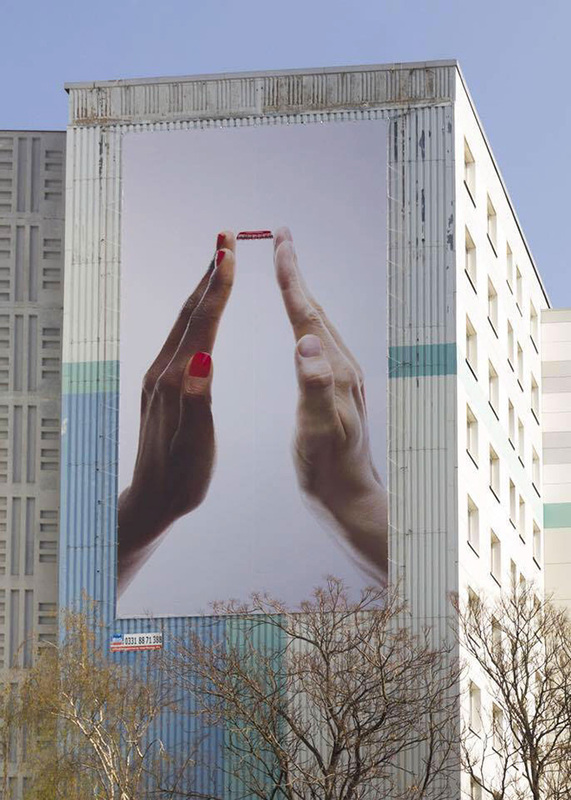 The Coca Cola Peace and Love Together campaign was developed at Ogilvy France, Paris, by CEO Philip Heimann, executive creative director Baptiste Clinet, creative director Nicolas Lautier, copywriter Riccardo Fregoso, art director Julien Chiapolini and Jeremy Bouchet, creative assistants Hélène Boudin and Nazgol Atharinejad, strategic director Hadi Zabad, agency producer Antoine Bagot, art buying director Laurence Namhias, business director Ben Messiaen, account managers Eloïse Haye and Nicolas Boivin. Photography and filming was shot by director David Lachapelle via HSI Los Angeles with executive producer Rebecca Skinner, director of photography Paul Cameron and line producer William Green. Editor was Adam Rudd at Final Cut, Los Angeles, with executive producer Saima Awan. Special effects were produced at The Mill by SVX Post supervisor Phil Crowe and executive producer Kait Boehm. Sound and music were produced at Human Worldwide by executive producer James Wells.